When Juan de Garay drew up the plans for Buenos Aires in 1580, he placed the large Plaza de Fuerte or Square of the Fortress at its centre. Following the dictates of Spanish law, it comprised a church, a public meeting place, a marketplace and civic buildings. It was the hub and the heart of the new city. The Plaza’s name has changed a number of times over the centuries. Plaza de Fuerte gave way to Plaza del Mercado, then in 1807 it became Plaza de la Victoria to mark the country’s victory over the invading British and finally, when Argentina shook off Spanish rule on May 25, 1810, it became Plaza de Mayo. 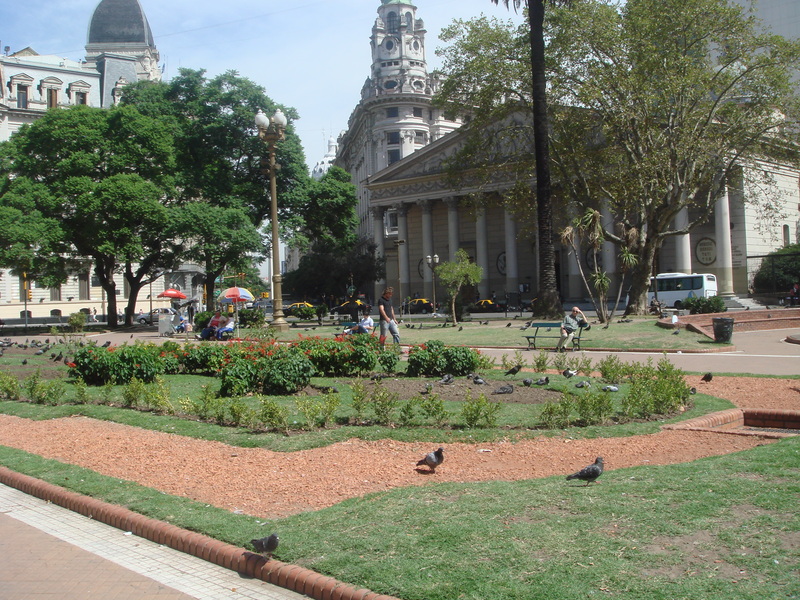 Despite the changes in name and the inevitable changes in the shape of city, Plaza de Mayo is still very much the heart of Buenos Aires. It lies at the meeting point of two major roads – Roque Saenz Pena and Avenida Rivadavia. It is home to some of Argentina’s most famous and significant buildings such as the legendary Casa Roseda, or Pink House. More importantly, Plaza de Mayo has been and still is, the scene of Argentina’s most significant historical and political moments. Over the centuries crowds have rallied here for both the highs and the lows of the country’s chequered history. 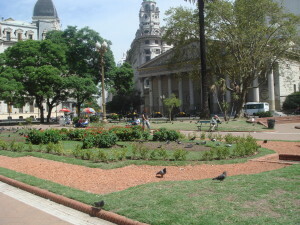 Plaza de Mayo is a focal point for protests. They start and or finish here. When I passed through two years ago, the War Veteran were encamped in one corner, They looked as if they hade been there for a long time and they looked as if they were there for the long haul. Every Thursday at 3.30 pm a group of mothers turn up to protest ad mourn the disappearance of their children during the Military Regime of 1976 to 1983. They call themselves Los Madres de la Plaza de Mayo.